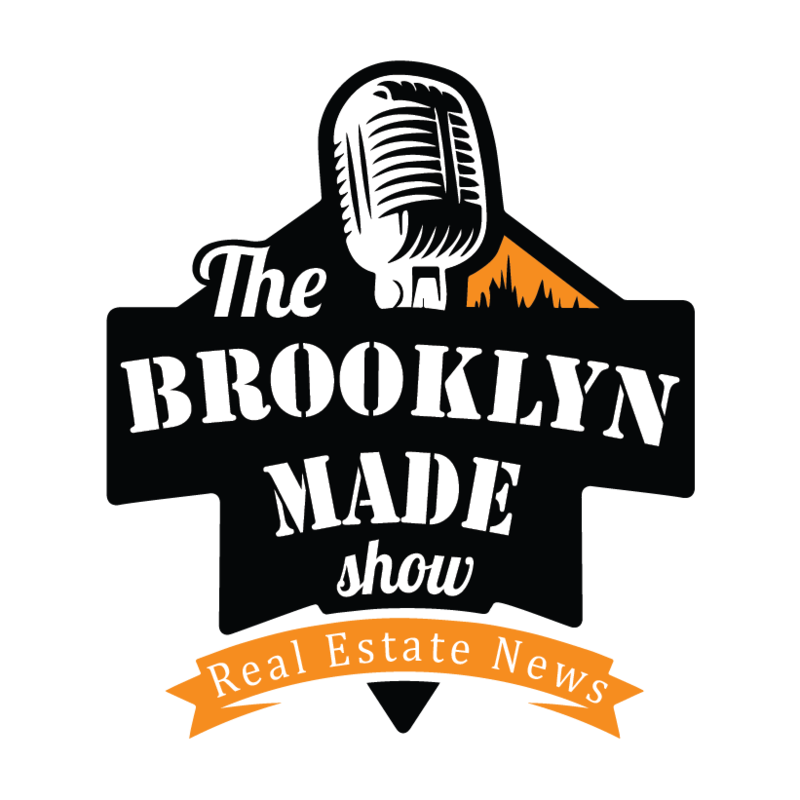 From the Ratner Team, this is the Brooklyn Made Real Estate Podcast, a show about Brooklyn real estate and the professionals behind one of the hottest real estate markets in the world. Brooklyn Made Real Estate is a one-stop shop for anyone interested in New York real estate, getting connected with local experts and learning how to make smarter decisions and leveraging your assets. Each week our show will feature local professionals and real estate experts that we are eager for you to meet. This month we’ve seen bigger real estate moves in play, and see developers marching on with new projects that will continue to change the skyline and living trends over the next few years. Yet, the data continues to show the market is changing. It’s becoming harder and harder to deny or ignore the fact that the US real estate market seems to have turned. Despite a strong economy and still bullish stock market more data is showing up across the country, suggesting we passed a new peak. It seemed to start with declining rents in San Francisco, followed by hitting Manhattan and The Hamptons. Now parts of Florida are revealing foreclosures has been growing month over month again. In some cases by as much as 59%. US home sales fell for the fourth month in a row in July. CNBC reports luxury homes sales in New York City continue to drop in response to new tax laws and declining demand from international buyers. Still, Manhattan remains home to America’s most expensive real estate. Prices can top $10,000 per square foot. That’s more than double of any others, including frothy San Francisco. However, Manhattan inventory has hit an all time high as of May 2018, and has grown at the fastest pace on record. This surge in residential inventory has also subsequently caused the most price cuts since 2010. 28% of Manhattan property listings slashed prices in quarter two 2018. 21% of Brooklyn properties saw a price cut last quarter. The slowing market has even hit the former home of Jordan Belfort the ‘Wolf of Wall Street’. After failing to sell with one broker the property has been relisted with a 15% price cut. The $510,000 in savings gives it a new price tag of just $2.89M. Not bad for a Long Island home with 5 bedrooms, 8 bathrooms and over 8,000 square feet of living space. While new construction may have been faring better than existing properties, those sales fell by over 5% between May and June 2018 as well. The National Association of Home Builders is also reporting that builder sentiment dropped to its lowest point in a year in August 2018. Buyer traffic is also down 2% according to the NAHB, which could signal more weak sales data to come later in the year. SL Green has continued to liquidate commercial assets in New York City. After an April deal to exit a Broadway property for $633M,SL Green has now agreed to sell its 48.9% stake in 3 Columbus Circle for over $200M. The firm has said it aims to buy back its own stock versus making more acquisitions. Owners of a 21st floor super-unit in the Central Park Trump Parc building may soon seen their property hit the auction block. The New York Post reports they are currently owe over $99,000 in back taxes. That’s in addition to over $9,000 in back taxes on a unit in the building they exclusively use as a gym, and over $34,000 in past due association dues. If you are in the mood to collect Trump branded real estate, a unit right below the president’s in Trump Tower just went on the market for a modest $25M. The unit offers 6,000 square feet and five bedrooms. Of course, you might have to jump through a lot of security checks and even compete with the president himself to be the next owner. If that’s not presidential enough for your tastes, then you can always drop $39M on the mansion in the sky at Trump World Tower. You’ll gain an extra bedroom, have over $7,000 square feet, and most importantly, 360 degree views. It already boasts some pretty fine finishes, though you might as well drop a few more million to decorate to your own tastes. If you’re just visiting the Big Apple, then it’s worth checking out the Empire State Building’s new Art Deco observatory entrance. It won’t be fully complete until 2019, but the work is already looking amazing. Efforts are being made to reduce wait times, though a new VIP lounge could help you enjoy the journey more, if you are willing to pay for it. In other news, real estate professionals, builders, sellers and lenders just got a big wake up call from HUD. The government is now going after Facebook for allowing advertisers to use its platform to target real estate advertising towards different groups. This is considered a breach of fair housing laws. If HUD or the CFPB seek more data from Facebook to track down advertisers based on the targeting options chosen when running campaigns, this could just be the tip of the iceberg in lawsuits and mega fines for thousands of businesses and independent professionals. The next major target of a lawsuit should probably be Zillow for the monopoly it is amassing. The online giant recently bought a mortgage lending business, has begun flipping houses itself, and aims to be the number one tenant screening and application portal. All while shooting to take a slice of rental payments to landlords. In terms of real estate design and building trends, two big factors have come to the forefront of planning. One is social engagement. Social isolation has now been deemed as much of a threat to health and life expectancy as obesity or smoking. The other is using more healthy materials as designs to boost overall wellness. From lighting to airflow to materials used from the bedroom floor to the garage, there are a lot of improvements that can be made to improve health. Expect 2019 to 2020 to be much more about health and wellness in design, as being green and tech smart become the expected norm. The L train shutdown effect seems to be showing up in a big way for Brooklyn renters and landlords. National Real Estate Investor reports that Williamsburg rental inventory has jumped by at least 25% over last year as tenants rush to find pads with better commutes. AM NY reports that while rents in Williamsburg are now down an average of $250 per month as landlords scramble to fill vacancies, and as much as $448 for some units, experts are warning rent stabilized tenants to stay in place. It may be getting cheaper for landlords to buy out rent stabilized tenants, and to boost the value of their assets with market rate leases, but it could be hard for movers to find such great deals elsewhere for the long term. This might be a great time for these tenants to find online work and cut out the commute altogether. Brooklyn is making the new world of remote work even easier too. Over 38% or 2 in 5 workers in NYC are now freelancers. In response the city has sponsored a new freelancing hub in Dumbo. The site will offer free workspace, workshops and other training and consulting. According to the Wall Street Journal, one Canadian commercial real estate lender is betting big on the Brooklyn office market too. One of Canada’s biggest lenders has pledged a loan of over $200M for a new downtown Brooklyn office building. Other developers still seem overwhelmingly bullish on Brooklyn too. The City Council just approved a rezoning plan to allow a new 8 building project with over 1,100 apartments in The Broadway Triangle area of Williamsburg. One Blue Slip, a part of Greenpoint Landing just launched leasing for its 30 story luxury tower. Studios start at $2,600 per month. 3 bedroom units start at $7,950 per month. Despite some negative data already covered, sales prices are actually being increased for the new supertall tower at 111 West 57th Street. New records show one two bedroom unit previously listed at $7.5M will now be sold for $15.5M. Also demonstrating the confidence builders have is a dispute with its lead sales agent who is now suing for $30M. The Rikers Island shutdown is already in play and is expected to result in the building of 4 new jails in the Bronx, Brooklyn, Queens and Manhattan. This could change some neighborhood dynamics in the process. Though it is still a little unclear whether it will actually lower or increase the number of incarcerated in New York City, the majority of whom are sitting in Rikers, waiting for trials and not yet found guilty of anything. A new 21 story tech training center has the greenlight to go ahead in Union Square with the aim of bringing new tech jobs to lower income workers and strengthening the local workforce and economy. Citi Habitats reports that the Manhattan rental vacancy rate uncommonly rose to 1.34% this summer. That’s not much of a increase to ease things for renters desperately seeking affordable apartments, but is a stat landlords should keep watching. Unfortunately, the Waldorf hotel renovations are now expected to extend into next year. On the brightside, now rooms are anticipated to be bigger than many city studio apartments. SO, if you’re ever feeling cramped but don’t have time to getaway, consider a staycation in the city at the Waldorf. The smallest rooms will now start from 650 square feet according to BisNow. In what could finally be a win for truly affordable housing in New York City, a new Crown Heights building has opened a lottery with units starting at just $938 per month. Unfortunately, income requirements demant tenants earn at least $32,000 to $62,000 per year, meaning they might still have to pony up 50% of their income to get in. Queens is about to see a new record setting commercial real estate transaction. The Carlyle Group has agreed to pay $284M for a 45 story building in Long Island City. For landlords and real estate investors seeking to optimize current debt leverage or expand portfolios capital still appears more than plentiful. There are all types of lenders and funding sources eager to finance real estate investors. Among them are many nonbank lenders, who have increased their market share by 8% in the past 4 years, seeing a 40% increase in originations, and funding of at least $60B last year alone. It has been a busy year in New York real estate market already. Big players, buyers, and developers haven’t been shy. In fact, we continue to see a run of aggressive new projects coming onto the market, some with even larger price tags.. Brooklyn continues to be one of the biggest beneficiaries of this action, and is receiving much of the investment capital. Rents have been blown around by a variety of factors, though appear to be solidly marching on. Housing inventory may be growing, though there are many economic factors which could impact the direction of the market through the end of the year. Thanks again to our sponsors, The Ratner Team, and SpartanRenovations.com for making these reports and delivering this valuable information possible! While the latest Brooklyn Rental Market Report shows improvements and ongoing growth in some sectors, and the rent certainly still isn’t cheap in New York, Manhattan is continuing to struggle, especially on the commercial front. The economy is great, capital is flush, yet despite the fed holding rates steady, we are still seeing some diverging trends in the data and media. Disney is going all in on New York real estate, with a new deal with Trinity Church for Four Hudson Square. Disney plans to relocate its corporate headquarters to the new site. In other dealmaker news Z NYC Hotel on Long Island just sold for $43 million. The lot also includes a separate building with 109 apartments in the rear. 3 World Trade Center just made its formal debut on the market. Opening as the city’s fifth tallest building, with 44 elevators, and 80 floors, it is already 38% leased according to AM New York. On the residential market, One Wall Street is nearing the end of its conversion, with sales expected to begin in the next few months. Current pricing is anticipated to average $3 million for entry apartments, with a triplex penthouse asking over $38 million. Over half of the units will only be studios or one-bedroom apartments. Retail space will include the building having its own Whole Foods supermarket. Prices at One Wall Street may seem like even more of a steal when you look at the cost of today’s micro-apartments in New York City. Graham Hill who sold his last tiny living space for just under $1 million, just listed a 350 square foot apartment in Soho for $750,000. Those looking for more of a deal might want to check out The Gallivant hotel in Times Square. The lender is reportedly set to hold a foreclosure sale of the mortgage, and may slash the debt on the property by around half according to the NY Post. This month will also see the foreclosure auction of One Bennett Park. The site has as much as 276,000 square feet to develop for a residential project. Still, while some older buildings may still be struggling to find the right footing, there appears to be no lack of appetite for redeveloping and constructing new projects in the Big Apple. In fact, data from YIMBY shows an almost 70% surge in development filings in the first half of 2018. More are in the works too. Like 185 Broadway in FiDi, and pre-filing plans to turn it into a 37 story residential building with 279 apartment units. Another 668-foot tower at 200 Amsterdam Avenue plans to bring 112 new apartment units to the Upper West Side. New York City is also currently seeking proposals to develop and operate 200,000 square feet of media and film production space at the Sunset Park waterfront. In other news, the start of the year long closure of the N, D and R subway lines in Brooklyn got off to a rough start, with the MTA relying on Twitter to remind travellers of the shutdown that will last at least until July 2019. While New York may be far from rolling out an all solar mandate for building like California, a new energy efficient benchmarkand grading system is debuting for commercial buildings in the city. The letter based grade system, which will post ratings publicly on the properties is hoped to put peer pressure on owners to become greener and help reduce greenhouse gas emissions by 80% within the next 32 years. Proving it still isn’t easy for renters in the city, one Bushwick building just launched a lottery for 3 ‘affordable’ housing units. These one and two bedroom units from from $1,979 to $2,387 per month. Income limits for applicants run from $67,852 to $146,510. That still doesn’t leave much left over for a family bringing in just over $5,000 a month, before taxes. The Rent Guidelines Board has also voted in a new rent hike that begins this fall. Almost one million rent stabilized tenants in the city could see their rent go up by as much as 2.5%. Coworking giant WeWork is making waves with a range of new services. That now includes designing office spaces, like UBS’ headquarters. In some good news for real estate brokers, WeWork appears to be reversing any downward pressure on brokerage commissions, by doubling its leasing rates to 20% from the traditional 10. Brooklyn continues to advance with improvements in the rental market, new developments, and capital investment. Earlier this year we saw some rent discounts due to the L train shutdown, and landlords offering more deals to attract new tenants and sign more leases. That pressure seems to have eased, with rents mostly coming back up again. The Economic Development Corporation recently unveiled and opened another 500,000 square feet of space at the renovated Brooklyn Army Terminal. As part of a larger 4 million square foot space, the site houses innovative business including a 3D printed clothing company, and is heralded as an affordable location for housing startups and small businesses. Another skyline redefining Brooklyn office tower just secured the financing to go ahead as well. The 34 story Class A tower at One Willoughby Square in Downtown Brooklyn will receive a $235M from Otera Capital. Extell, has scored double that, with $530M in new financing for a new condo tower in Brooklyn. The project which is hoped to be completed in 2020, will rise 68 stories, becoming the tallest residential building under construction in Brooklyn right now. Another luxury apartment conversionon Williamsburg’s North 7th Street is about to launch sales. 29 of the 45 units at the old soap factory site will have private outdoor space. Amenities include a children’s playroom with a view, rooftop fitness center, and additional amenities for purchase such as cabanas and parking spaces. Dumbo is getting another gourmet market, with Wholesome Farms Market’s third location in Brooklyn being inked at 108 Jay Street. The chain will take on a 3,000 square foot retail condo at the site for 15 years according to the Commercial Observer. The above activity has certainly added to the borough’s traction. BisNow reports that Brooklyn has seen $4 billion worth of commercial properties trade hands in the first half of 2018. 44% more than in 2017. NYC housing inventory has been rising to record levels. Im May, Manhattan inventory rose 16.7% year over year. Brooklyn inventory went up 23.4% and Queens saw listing levels up 42.8%. As a result 1 in 6 home listings saw a price discount. While the US economy appears strong and growing, these increased inventory levels, high prices and higher property taxes, have even led to declining sales in the wealthy playground of The Hamptons. CNBC reports that quarter two sales fell by almost 13% in the Hamptons. Median home prices dropped by 5.3%, taking the average home price under $1 million. New York City landlords are increasingly being pressured to make the most out of every square foot. Rental market reports show distinct differences in rates that various amenities can provide, and which may no longer make much of a difference. Now, between sky high housing costs, taxes and the trend in coliving, landlords are also looking at what they can get for each room. Should they be leasing by the room instead of an apartment? Or even by the bed or sofa? These strategies may boost potential income and help diversify assets, yet they can also be far more property management intensive. However, New York City landlords still need to be very careful when considering engaging in short term leasing. A new bill passed in July 2018 claims to force Airbnbto had over listing data to authorities who can pursue them for violations with very expensive fines and penalties. The New York City controller's office has found that upfront move in costs are just too expensive. A study shows many are paying as much as 25% of their annual income, just to move into a new apartment each year. That doesn’t include their ongoing monthly rent. Among the current solutions being worked on is capping the security deposit requirement allowed by landlords to no more than 1 month’s rent. It has been a busy first half of the year for New York real estate market already. Big players, buyers, and developers haven’t been shy. In fact, we continue to see a run of aggressive new projects coming onto the market and filing plans. Brooklyn being one of the biggest beneficiaries of this action, and receiving much of the investment capital. Rents have been blown around by a variety of factors, though appear to be solidly marching on. Housing inventory may be growing, though there are many economic factors which could impact the direction of the market through the end of the year. Brooklyn's Next 100 Years. Special Edition! Welcome to this Special Edition of Our News Report. We are celebrating our 1 year anniversary with this special report on Brooklyn, local development, the economy and how the borough is being shaped for the next 100 years. Thank you for listening, reading and being a part of our mission here at Brooklyn Made. Over the past year, we’ve been so lucky to have enjoyed a booming audience of intelligent and caring people who want to learn more about Brooklyn, support local businesses, serve their neighbors and invest in making this borough even better for tomorrow and the next generation. We’re so grateful to have helped so many local businesses and entrepreneurs gain more visibility and credit for their dedication, and connect them with so many who have benefited from their help. It’s also been so exciting to see how many of you have invested yourselves in building up the community, and have been rewarded well for your efforts. Over the last 12 months, we’ve brought together much of the best of Brooklyn in our Brooklyn Made Blog, Podcast, and Resource Website. ● The Brooklyn Made Show features many local business owners and experts, including great artists, designers, architects and renovation specialists. ● Our New York Real Estate Newscast tracks what’s happening in the local market, and where the investment opportunities are. ● On our Vendors tab, you’ll find great local merchants from home services contractors to finance professionals, home automation consultants, and local furniture stores. ● In our resources center, you’ll find our recommended providers for filing your own business, identity protection, creating a website, and finding a coworking space in Brooklyn. ● With network thousands of listeners, readers, viewers, and connections interest in our Brooklyn updates, we also offer exciting advertising opportunities for you to get your own venture in front of locals. Just pick up the phone and ask us how we can help. Whatever you do, don’t forget to share the things you love best about Brooklyn Made with others. Send them a link by email, and share it on your social media. We’re all better when we work together. Our email address is Contact@BrooklynMade.Blog. In this special anniversary edition we’ll be celebrating Brooklyn, how far we’ve come, and looking ahead at what’s next. Before we dig into the data and unveil some of what’s planned for Brooklyn, the opportunities, and how you can play a part we’d like to take a moment to acknowledge and thank everyone that has been a part of this. That definitely includes you. Because without you, your loyalty and shares we wouldn't be able to have the impact we do. It definitely includes our whole production team. Without whom none of this would be possible either. We are constantly working to improve the experience, but couldn’t do it without our video and audio team, designers, writers, and editors. That includes all the great people who work so hard at our vendors making, improving and maintaining the framework of our sites and podcasts too. Special thanks to all of the local Brooklyn business owners, entrepreneurs, and leaders who have generously shared their insights, tips, knowledge, and workings with our audience too. We can’t forget Spartan Renovations or Brooklyn’s leading real estate experts at The Ratner Team, including David Ratner, Jessie Torres and the rest of the team. For the data and research we’ll be covering in this special report we also thank all those involved in participating, contributing their ideas, and compiling the information. So, before casting a vision for the future and the opportunities we have, where are we right now? Where is Brooklyn at? How are we doing, not only in terms of attracting development, trendiness, and high property prices but in terms of growth, strength, sustainability, equitability and creating a resilient destination? Private employment has grown 5 times faster than population growth between 2010 and 2016 to 596,000 jobs. Of course, that comes on the heels of the weaknesses and losses that may have been experienced around 2008. Some worry that this job creation has also been focused on few concentrated areas, and has mostly been low wage jobs which don’t offer stability or long-term prosperity for workers. Between 2010 and 2016 Brooklyn’s population grew by 35%, to 2.629M residents. The share of residents with higher incomes may be larger now, but there may still be significant gaps between job openings for higher paid jobs and skills. Brooklynites are far more educated than before. As of 2016, 45% had a bachelor’s degree or higher. That compares to just 29% in 2012. The percentage of households with an income over $75,000 has grown from 28% to 38% as well. Unfortunately, an American Community Survey shows that the percentage of Brooklyn residents living below the poverty line has risen too. That’s now at 23%. 5% or 135,000 are NYC Housing Authority residents. So, more people are making more money, but more people are poorer too. There does appear to be a lot of disparity in the Brooklyn economy. That could be a hurdle for long-term growth. Though by examining the fundamentals and making opportune investments and changes, we can create a more equitable Brooklyn. As they say “a rising tide lifts all boats.” Well, at least it should. According to the Brooklyn Chamber of Commerce, only 34% of local residents also work in the borough. That’s compared to 73% in Manhattan. That may be a red flag in terms of sustainability. Rapid population growth in recent years has sped up local economic growth. Yet, population growth could be slowing, and that could eventually have an impact on economic growth. Long commute times, poor connectivity and real estate conditions can be blamed for being a barrier to attracting and retaining workers, and future workers. Infrastructure plays a big part in how jobs and incomes are spread out, or not, and what the future may hold for many Brooklyn neighborhoods. According to Wikipedia, Kings County is not only the most populous in the state of NY but is already the second most densely populated in the US. On its own, as a city, Brooklyn would be the 3rd more populous in the country after LA and Chicago. The Brooklyn Chamber of Commerce report shows employment in the borough being dominated by healthcare, government, retail and accommodation jobs. It acknowledges a growth in knowledge industry jobs but maintains it is still a small share of the job market. Though tech, knowledge industries, and some new manufacturing are responsible for high wage growth. Social assistance and healthcare jobs reportedly grew by 36,000 jobs between 2010 and 2016, or by 23%. 75% of those jobs do not require a degree. Retail and the food services and accommodation industry have produced some of the greatest employment growth over the last decade. Brooklyn has found itself as a hot shopping and culinary destination. Retail added more jobs in the same period than healthcare. New hotel development has been highly controversial, as is Airbnb. Some say hotel development in industrial areas has stolen manufacturing jobs. And new regulations to block development are going into place. Yet, others acknowledge these hotel developments have done a lot more for the economy than old industrial and manufacturing sites. Accommodation and Food Services employment grew by 73% in the same period and generated $2B in revenue in 2016 alone. In addition to 23 new hotels which are expected to be completed from 2016 to the end of 2018, home sharing like Airbnb has generated at least $157M in direct spending that we know about Probably a lot more. Tourism spending is now up by $10B. Business visitor spending is believed to account for around 30% of this spending. New apartments are being added too. Over 5,000 new residential units are planned for Downtown Brooklyn by 2022, and 10,000 in Greenpoint by 2019. Food manufacturing added the most jobs in the manufacturing sector at 1,180 between 2010 and 2016. The most grow was in electrical equipment at 202%. While larger firms with 500 plus employees have been responsible for the most employment growth in Manhattan, smaller employers with 0-29 employees have been responsible for the most job growth in Brooklyn. Wikipedia states that in 2000 91% of local businesses had fewer than 20 employees. By 2014 only 29% had less than 20 employees. More recently, 40% of all employment growth has been attributed to companies with less than 50 employees. Construction is also a major employment sector these days. The rezoning of Downtown Brooklyn alone has generated over $300M in public improvement since 2004, along with more than $10B in private investment. Brooklyn also now has over 35 coworking spaces like WeWork. Along with co-living trends, there appear to be many more freelancers and entrepreneurs in Brooklyn today. Brooklyn faces some real estate challenges. Some owners and investors are enjoying today’s sky-high prices and rents and record amounts of equity. Yet, those same factors present some of the biggest risks and challenges for Brooklyn as well. High real estate prices and property taxes, along with recent caps put on deducting property taxes can make it difficult to attract and retain workers in NYC in general. This, in turn, creates challenges for the profitability of businesses and the attractiveness of Brooklyn as a location due to the impact on the local talent pool and high wages which must be paid. That could limit quality jobs for existing Brooklynites who would like to stay. The majority of Brooklyn employers are clustered around major transit hubs. The most active areas are within a half mile of a subway station. While offshoring isn’t made as much noise about today, many companies are ‘nearshoring’. Meaning they are moving locations to domestic US cities with lower costs. To provide a full cycle business environment a destination really needs a mix of incubation facilities, Class B and C commercial property, Class A property, manufacturing and back office and warehouse space and more than ever - fulfillment centers. Brooklyn went through a sizable correction after 2008. A lot of commercial space has been replaced by residential properties and hotel development. With less inventory, commercial rents have spiked. Much of the new growth in business in Brooklyn is in the ‘gig economy’. Solo business owners who are working for themselves. Often in freelance, new startups, and ridesharing services. These independent professionals can add hundreds of millions of dollars to the local economy. However, if they desire to grow they can be hampered by both real estate costs and access to capital. They are often stuck between sources which won’t lend enough, and banks who won’t make smaller loans. Some help is coming in this area. Poverty is still a sizable problem in Brooklyn. Much of it is concentrated in areas further from subway stations, major employment centers, and education. Although education levels have certainly risen in Brooklyn, poverty has still risen too. Even though it is not a part of this report, this quirk should be alarming or at least a red flag. Many jobs and high growth jobs may no longer need higher education degrees. Massive student debt can also leave many individuals stepping out of higher education at a serious financial disadvantage, which may also limit their mobility. Today more people live in New York City Housing Authority projects in Brooklyn than the entire populations of other well-known cities in the United States. Brooklyn’s net population growth has been slowing since 2011. As of 2016 is was lower than the NYC overall average and lower than Queens. High housing costs may have been driving out some strong workers. So, more than lacking education facilities, degrees or jobs, often the issue today is a gap between the skills the workforce has, and the skills and roles employers need to fill. The Center for Urban Future conducted a study which reports 1 in 10 NYC jobs could be replaced with automation that exists right now. It is believed that nationally, 80% of jobs could be replaced by automation in the next few years. In 2016 there was a gap of 59,100 jobs, suggesting one of the biggest problems is training and equipping Brooklynites with the skills they need for higher paying future-proof jobs. Brooklyn is rich in culture and has 23 Business Improvement Districts and 10 Community Development Organizations all working to make things better. We’re seeing exciting new mixed-use developments that often combine retail and ‘affordable’ housing elements. Like what’s happening with the old Domino Sugar Factory. There are still challenges too. Just as green space isn’t very evenly spread out through the borough, new investment and developments of the commercial real estate have been very concentrated in certain areas too. New retail space enjoyed the broadest delivery between 2010 and 2016. Office and hotel space was very restricted. Almost exclusively in trending neighborhoods in the northwest. Areas like Downtown Brooklyn, the Navy Yards, Williamsburg, Fort Greene and Red Hook have been some of the biggest beneficiaries. This activity has also driven up apartment rental prices by 30%, changing the demographics and character of many areas. Brooklyn real estate has been so hot that it is now easily on par with Manhattan, despite longer commute times and distance to subway stations. Internet access is clearly vital to small business activity, education, employment, and closing much of the disparity in Brooklyn. Yet, there is also much disparity in access to the affordable broadband internet. Currently, there are many areas of Brooklyn where less than 20% of households have access to affordable broadband. Efforts are being made to better level opportunity and digital equity with affordable and free Wi-Fi access. Sea level and climate change arguments aside, Brooklyn flood maps show a scary amount of property, development, and people at risk of flooding. Projections expect the most intense hurricanes will increase 50% as well, causing an increased risk of storm surge, wind damage, and flooding. Smart building and intelligent investment will be needed to protect capital invested and vitality. Breuckelen started out with Dutch settlement in the 17th century. The Brooklyn Bridge was completed in 1883. It finally became a part of the new consolidated New York City in 1898. In the mid-19th century, Brooklyn began to get serious about urban development. Starting with the Kings County shore facing Manhattan. In the 1930s Brooklyn became a major industrial supplier to the nation. In the 60s the Bed Stuy Restoration Corporation was founded and became the first Community Development Corporation. In the 80s revitalization began. And in the early 2000s, Brooklyn attracted billions of dollars in investment and grew into a fashionable global trendsetting brand. Today it is famous for its art, shopping, innovation and for its fabulous real estate. In order for Brooklyn to thrive with people, employers, and great neighborhoods, we not only need great vision but concrete goals, strategy, tactics and to track the right metrics. There are some common goals development organizations are working on that most of us can agree on. How do we achieve improvement in these metrics? The CEDS proposes the following strategies and tactics. The CEDS highlights several areas for making these efforts in project clusters for maximizing impact and acting as a catalyst for current and future growth. These new commercial centers are designed to form a ring around Downtown Brooklyn. Implementation of these tactics will take time and a lot of different organizations to pave the way for removing regulatory and economic blocks and adding investment. State, city and federal organizations would be involved, in addition to private investment. Long-term (15-30 year) projects include: expanding the educational infrastructure. So far we’ve covered an enormous amount of information about Brooklyn. How far it has come, where it could go, the big plans serious organizations have for the borough for the next 100 years. As well as the challenges facing Brooklyn and its residents and businesses today. There are some cities and destinations on the map which may have peaked and have failed or ceased to be as relevant and vibrant as they once were. There a lot of people just along for the ride and perhaps very short-sighted planning. Brooklyn has long been a rising star. It is already one of the most famous and exciting destinations on the planet. With the participation of many great minds and organizations, their commitment and funding, this may just be the beginning of Brooklyn’s story. There is an exciting future ahead. One in which Brooklyn becomes an even more important financial center, trendsetter, global destination for visitors, investors and students. A model for sustainable development and an inclusive society which offers a great quality of life to its residents and workers. It’s an exciting place to live and the future is even brighter. Of course, in order to realize all of this, and to avoid falling off the track as some places have, and as parts of New York have been threatened with due to high taxes, costs, lack of innovation and great disparity, it is going to take a lot of participation. We can’t just sit back and hope someone else will do it all. We can’t just hope that thousands of others will commit themselves, their time, money and lives to creating and supporting a greater Brooklyn. Not without support. If they aren’t encouraged and supported why would they continue. Especially since it does require some work and sacrifice to conduct studies like this and work to get the enrollment of politicians and government organizations and the buy-in of the public. The great news is that we all have a role to play in the future of Brooklyn. We each have an opportunity to play a role, and it would be a shame if we miss out on that. This applies whether you were born here and grew up here all your life, are returning after college, migrated here from the other side of the world or another state, or live somewhere else and just want to invest in this place you love so much, and a model that could be used to create more great smart cities around the world. There are clearly many benefits to living in, participating in, working in, and investing in Brooklyn as these future plans unfold over the next 5 years and 100 years. It means living in one of the most exciting world cities on the planet. It means making a great contribution to history and creating a legacy for future generations, here, around the world, and perhaps even ultimately for societies, we plant on other planets. There will certainly be the pride of ownership of your stake in Brooklyn. Whether that is educating others, being employed in a valuable career, building a great local business, helping to shape the landscape, or owning and investing in Brooklyn real estate. This can sound like a lot of work and sacrifice. For many, it will be. Yet, that doesn’t mean all of these investments and efforts won’t be highly rewarding and profitable either. Launching and sticking it out with a business here could prove to only become increasingly profitable as these plans are implemented. Raising a family here and being involved in the community can pay many dividends. Directly investing in new commercial developments and operating housing or mixed-use properties could deliver some of the best financial returns you can get, while playing a role in creating a far more prosperous Brooklyn. Something which will not only increase your own net worth, income, and financial freedom but can have a positive impact on your entire family, friends, future heirs and the world. We hope you are as excited about the future of Brooklyn and what we can do to make a difference today as we are. Perhaps you want to get behind some of the ideas and plans we covered today. Or maybe you have better ideas to contribute. We’d love to hear from you! Leave us your comments. Post to our social pages. Or email us. Maybe you already own a local business or are working on a project and we can feature you on Brooklyn Made. Or maybe you know someone who has been working hard and should be featured on the show. Send them our way! Once again, we’d like to thank each of you for listening, reading, being involved, sharing and engaging. We look forward to another 100 years of Brooklyn and can’t wait to see the role you all play, along with Brooklyn Made over the next year. The weather has not been kind to the region this winter, with a seemingly endless strong of nor’easters rolling through. By the time they settle down, we'll be rolling right into the 2018 Atlantic Hurricane season which is also expected to be more active than normal. For the first time in years, more air rights for office buildings are changing hands in New York City than for residential condominium towers. That activity spurred a new record high of $315 per square foot for office air rights as we moved into 2018. Google has emerged as an even bigger player in the New York real estate market with a new $2.4B purchase of the old Nabisco factory in Chelsea Market. That makes the deal the second priciest in the city and sets a new record of $2,000 per square foot. In total Google’s parent company is believed to hold over $14B in real estate, with around 30% of its portfolio in New York. The DOJ has become a big New York real estate player too. Under its asset seizure program, the government agency is currently working to sell the $1 billion Park Lane hotel and 650 Fifth Avenue, which is valued at over $500 million. Things could get even busier in New York soon as real estate developers and airlines vie for roles in expanding the JFK airport. This could ultimately be an effort that pumps over $10 billion of new public and private capital into the development over the next few years, according to Crain’s New York. With such big numbers and rising asset prices, The Wall Street Journal reports that the number of fractional interest sales in offices buildings worth $1 billion or more has virtually doubled since 2015. The weather has not been kind to the region this winter, with a seemingly endless string of nor’easters rolling through. By the time they settle down, we'll be rolling right into the 2018 Atlantic Hurricane season which is also expected to be more active than normal. Property Tax Adjusters limited on Long Island reminds us that this is a more important year than ever to appeal property tax assessments and bills. Deadlines for filing some state and local property taxes and appeals may have been slightly extended this year due to the storms, new tax bill, and a number of property owners expected to file appeals. Check the appropriate deadlines for your county to see if you still have time. As we move into spring, this is an important time to reinspect our homes, investment properties and apartment buildings. Inspecting trees, foundations, cleaning out gutters and checking smoke alarms are all basics to be covered. Sales in Brooklyn’s tallest residential tower launched in mid-March 2018. Studios, one, two, and three bedroom condos in Brooklyn Point, Downtown Brooklyn are asking $837,000 to $3.413M. The building offers a stroller valet and a rooftop pool on top 720 feet in the air. It’s billed as ‘the highest in the Western Hemisphere’. For those looking for a more boutique building, over on 14th Street in Park Slope a new 9 unit apartment building has begun sales at $1.675M. Each unit has its own outdoor space. Other amenities include a 24 hour ‘cyber doorman’, package room, and children’s playroom. Over in rapidly rising Greenpoint, SL Development has decided to convert a 1930s church it acquired last year into 18 condo units. Mixing modern glass and elements with the current brick facade buyers can expect a building with great character and a sleek new look. Street Easy reports that Manhattan and Queens have been experiencing record levels of price cuts on rentals. Rents in Queens have reportedly fallen back to 2015 levels, as more choose to buy, and have spurred an all-time price high at an average of $512,082. The East Village has opened its first official Dog-Friendly cafe. Boris & Horton’s boasts a dog photo booth, complete with costumes for dressing up your four-legged friends. Pet owners can enjoy a gluten-free and vegan menu along with their coffee. While the Bronx may not be known as New York City’s most expensive place to live, concerns over a lack of affordability have caused a new drive to use shipping containers to provide lower income housing. However, some experts are concerned that even at far lower construction and material costs the rent still won’t be low enough to truly be affordable. Long Island has taken two different approaches to its stance on housing recently. On one hand, we have extreme property taxes, which could go up again this year. The state comptroller says school property taxes in Nassau and Suffolk County will go up between 2-3% this year. School taxes can account for 60% of total property tax bills. Towns like Southold aren’t trying to make this burden any lighter by threatening new legal actions against short-term rental landlords. ALTA’s ironically “live large” tagline building in Long Island City incorporates living units, which may be slightly less expensive than private apartments. There are plenty of amenities and could catch on as an alternative, as long as you aren’t worried about having your own private bathroom. Meanwhile, Mayor Bill de Blasio has committed $5.7M to piloting a new program that legalizes basement apartments. The idea is that this will unlock thousands of more affordable apartments in New York City, without having to build. If you’re not concerned about price and are shopping for a new pad in New York City than you can always check out Justin Timberlake and Jessica Biel’s SoHo penthouse. The 2,600 square feet unit comes with a wraparound terrace and 3 bedrooms and can be yours for just under $8M. While savvy landlords in Brooklyn have already been accepting Bitcoin for a while, 6 square feet reports 2 units at 389 East 89th Street recently sold for Bitcoin. One traded for the equivalent of $875,000. The other for $1.48M. Sadly, we’ve seen more investors dangerously skirting the rules when it comes to rent-regulated units and redeveloping properties. Street artists have finally won a $6.75M lawsuit against a property owner who whitewashed over there graffiti, which was known as the 5Pointz street museum in Queens. The Kushner Companies are now reportedly under investigation for failing to report rent-stabilized units in buildings which were subsequently flipped for an estimated $30M plus in gross profits. For those looking for investment opportunities, PropertyShark reports that foreclosures have been rising in New York City. Data shows first-time foreclosure auctions have hit their highest level since 2009. 2017 saw 58% more of these auctions than the previous year, with a triple-digit increase being reported for Staten Island. Transportation is expected to be one of the big game changers and influencers in the NYC and Brooklyn real estate market this year. There is ongoing talk about the gateway tunnel. Expansion of the ferry service is expected to have some uplifting effect on rents near new stops. Data shows that Greenpoint has already benefited from its ferry service along the East River. An even bigger factor is likely to be the extended shut down of the L train. Analytics company NeighborhoodX believes the news already brought down Williamsburg rents by 5% and will continue to put pressure on the neighborhood through the re-opening of the L train. Other neighborhoods like Greenpoint could benefit from this. It has been a busy few weeks in the New York real estate market already this year. Big players, buyers, and developers haven’t been shy. In fact, we continue to see new records set, and great new projects coming onto the market. Rents have been blown around by a variety of factors, though sales appear to remain strong, and condos in good demand. Well, that’s it for this month’s roundup. Look out for our other upcoming reports, and check out the latest data on the Manhattan and Brooklyn residential and multi-family market, and which features and neighborhoods are yielding the best rents at www.NewYorkMarketReports.com. The world’s population is getting richer, and the evidence shows that many of the world’s rich want to spend their new wealth on luxury real estate. The international luxury residential market will see more demand than supply over the next three years, according to a report published by the Real Deal, with 25 percent of high-net-worth individuals expected to buy high-end real estate compared to the 17 percent who want to sell. The report also noted the numbers of wealthy people across the world is increasing significantly. There were 1.6 million households around the world with more than $10 million in net worth during 2016. That figure is an 11 percent increase from 2015 and a whopping 91 percent increase since 2010. Most of the world’s wealthy consumers live in North America, with the number of $10 million-plus households increasing 146 percent in the last eleven years. Europe is the second largest “wealth region” in the world and is home to nearly 20 percent of the world’s wealthy households. The Asia Pacific region has seen an explosion of wealth, with the high-net-worth individuals in that part of the world increasing more than 20 percent between 2015 and 2016. China is producing 100,000 new millionaireseach year, according to a report earlier this year. Despite the report’s rosy outlook for the international luxury market, New York City continues to experience an excess of high-end product. Manhattan real estate sales of over $10 million in the first half of the year increased 12 percent from the same period the year. However, that jump is driven largely by both closings from contracts signed in 2014 and luxury sellers’ growing willingness to negotiate on price. In Los Angeles this year, there were 65 sales in the $10 million to $20 million range, up from 50 during the same period of last year.And in Miami, there have been 46 properties sold in the over-$10 million market so far this year. In London news, the London housing market hasn’t looked this bad since 2009, with its housing prices posting the first annual decline in almost a decade, according to the Nationwide Building Society. The cause of the slow is generally blamed on Brexit. Despite this, analysts claim there is cause for optimism - consumer confidence appears to be on the upswing, while Lloyd’s Bank saw business confidence rise from its lowest point. TRDreported this summer that the sky high prices London is known for may be a thing of the past — and if London real estate prestige falls internationally, New York City would stand to gain. WeWork and Airbnb have formed an alliance in a bid to take over the corporate travel market. Customers who book a room on Airbnb will also be able to reserve a desk at the nearest WeWork co-working space under a pilot program in six cities, Bloomberg reported. As of Thursday, the service will be available in Chicago, New York, Los Angeles, D.C., London and Sydney. Earlier this year Airbnb introduced a feature allowing users to search for homes with a desk and high-speed internet. WeWork, meanwhile, has offered overnight stays at its WeLive co-living location in Lower Manhattan. The company recently raised $4.4 billion from Japanese conglomerate SoftBank to bring Wework’s valuation to $20 billion. In far west side news, the online retail giant Amazon just signed a 15 year lease for 360,000-square-foot atBrookfield Property Partners’ 5 Manhattan West. It will serve as New York’s main location for Amazon Advertising, and jobs at the site will include software engineers, data analysts and economists. Amazon will take all of the sixth and seventh floors of the 16-story building on 10th Avenue between 31st and 33rd streets, as well as parts of the eighth and 10th floors. It will bring the building’s occupancy rate to 99 percent, with other notable tenants including JPMorgan Chase and Whole Foods, which is anchoring the building’s ground floor with 60,000 square feet of space. Amazon’s expansion into 5 Manhattan West will create 2,000 new jobs with average annual earnings of $100,000, according to Gov. Andrew Cuomo’s office. The company was offered up to $20 million in tax credits to expand in the state, and it will invest $55 million to outfit its new space with energy-efficient standards. 5 Manhattan West is part of an eight-acre, six-building mixed use development that Brookfield is constructing on Manhattan’s west side from Ninth Avenue to 10th Avenue and 31st Street to 33rd Street. It will feature roughly 6 million square feet of office space, residential space and a boutique hotel. Amazon has set up multiple projects in New York State over the past five years, including investing $9 million into a fashion photography and videography studio in Brooklyn and setting up a 350,000-square-foot administrative office at 7 West 34th Street. The company is also planning to open its first distribution center in New York on Staten Island’s West Shore, which is expected to create over 2,200 jobs. The Seattle-based company most recently shook up the business world by announcing that it would seek to open a second headquarters, which should represent a $5 billion investment. Although New York is expected to be in the running for this as well, Related Companies chairman Stephen Ross recently said in an interview with Bloomberg Television that he “can’t see them really coming to New York, realistically” because of the city’s high cost of doing business. In Brooklyn news, workers with the U.S. Environmental Protection Agency are set to start scooping toxic sludge from the bottom of the Gowanus Canal the first week of December and will begin prepping for the excavation next week. Starting this week, barges will cruise into the heavily polluted canal's Fourth Street Basin, where dredging will clear the way for EPA equipment to access the sludgy sediment, known as "black mayonnaise," marking a key step forward in the canal's $506 million cleanup. Before work on the Superfund site begins, the EPA will "stabilize the shore" with bulkheads along the basin's neglected banks, with that work likely to occur during the last week of October. Come December, workers will begin scraping muck from the basin's floor for a pilot study that will work out the projects logistics and inform the EPA's final plan for the entire 1.8-mile waterway. The pilot dredging is expected to last until the spring of 2018 and will culminate with a report to help shape the EPA's overall plan, including where excavators will eventually dredge the canal. It is possible that the agency will unearth some hidden gems, or at least buried junk, during the work. Last year,debris removal from the the Fourth Street Basin yielded two boat wrecks, eight support pilings, a tree and 25 other items that measured greater than 5 feet across. Toxic sediment removed from the canal will be ferried down the waterway and mixed with cement to ensure it does not leach contaminants, Tsiamis added. EPA officials anticipate finalizing plans for cleaning up the northern portion of the canal by February 2019. The cleanup for that portion of the canal will be completed around 2022 at the earliest, this according to DNA Info. In Upper West Side news, an apartment building at 200 Amsterdam that would be the tallest tower on the Upper West Side recently received the greenlight from the Department of Buildings. Hudson Yards will require another $440 million to prevent a partially finished tunnel from becoming a useless component of the massive project. The $750 million plan by Related Companies to deck over the western half of their megaproject in 2018 has increased the pressure on state politicians to raise the extra millions needed to complete a concrete box tunnel under the construction site linking the Gateway tunnel underneath the Hudson River to Penn Station, according to Crain’s. The Gateway project would collapse without this link, which would go under the West Side Rail Yards. Not completing the link would also make the tunnel’s first two segments unusable, wasting the $250 million investment in them. In financing news, n ine months after agreeing to a $7.2 billion settlement with U.S. regulators, Deutsche Bank is on top of the New York City real estate lending world. The German institution was the most active lender in NYC in the second quarter with $1.5 billion to $2 billion in loan originations ahead of Wells Fargo and Morgan Stanley. It ranked fourth in the first quarter. Two big-ticket loans helped Deutsche Bank over the top: the $2.3 billion refinancing of Boston Properties’ GM Building and the $1.75 billion mortgage to fund HNA Group’s acquisition of 245 Park Avenue. Last year’s fine over Deutsche’s role in the subprime mortgage crisis had some observers worry what would happen if it retreated from the market, but the bank dismissed the concerns. While big banks expanded their market share, smaller multifamily lenders continued to fall in the rankings. Signature Bank, the top lender a year ago, came in seventh with $700 to $800 million in originations. New York Community Bank just about made it into the top 10, down from third a year ago. Overall, New York lending volume in the second quarter was $24 billion, the same as a year ago and down from $27 billion in the second quarter of 2015. Just five landlords lay claim to about half of Midtown East’s commercial square footage that the city plans to rezone to allow for taller offices. SL Green Realty has 8.7 million square feet in the area slated for rezoning, and is therefore the biggest landlord in the area, Crain’s reported. The real estate investment trust is making use of 1.2 million square feet of air rights from Grand Central in order to build One Vanderbilt. Hong Kong is still the world’s most expensive prime office market by a healthy margin, but NYC is close to the top. Midtown Manhattan came in fourth in CBRE’s ranking of the world’s most expensive prime office markets in the second quarter of 2017, behind Hong Kong’s Central district, Beijing’s Finance Street and Hong Kong’s West Kowloon neighborhood. At the end of 2016 Midtown ranked sixth but it has since overtaken London’s West End and Beijing’s Central Business District. However, CBRE noted in the survey that its methodology recently changed meaning shifts in the ranking don’t necessarily reflect actual rent growth. Midtown’s prime rent averaged $153.50 in mid-2017. That’s still not even close to Hong Kong, where prime office space in the Central Business District averages $269.26 per square foot. Midtown South ($113.53) ranked ninth and Downtown Manhattan ($75.35) ranked 24th. “New York’s Midtown South recorded double-digit, year-over-year growth, and Downtown Manhattan and Seattle (Downtown) also placed among the 10 markets with the fastest growing prime office rents,” the report noted. Redfin, the residential brokerage that went public this summer in a closely-watched IPO, reported year-over-year revenue growth of 35 percent in the second quarter. Still, the company said it expects to once again lose money for the overall year. Redfin pulled in $105 million in the second quarter, compared to $77.7 million during the same period last year. Net income for the quarter was $4.3 million, up from $1.4 million in the second quarter of 2016. During the second quarter, Redfin closed 10.2 million home sales, compared to 7.5 million during the same period last year. It pulled in $101 million in brokerage commissions, a 33 percent year-over-year jump. One of the top stories of the past week is the continued struggle of the Manhattan luxury market, with just 14 contracts signed for homes priced at $4 million or more last week. It’s the sixth week in a row the number of luxury contracts has fallen below 20. The top contract was on unit 56A at 252 East 57th Street. The five-bedroom, 5k square foot apartment was last asking $14.7 million, down from its 2015 asking price of $19 million. The development launched in 2014, and the sponsors have cut asking prices and offered increased commissions to buyers’ brokers. The median asking price for luxury apartments last week was $5.5 million. The average discount from original ask to the final asking price was 7 percent. The average number of days on market was 357, as reported by the Real Deal. Glamorous high-end deals have become common in Brooklyn’s real estate market over the past few years, but during the second quarter of 2017, the biggest deal in the borough was fairly dull purchase. The government of NYC purchased the $160 million purchase of a Williamsburg storage facility. Residential sales dominated the biggest sales in BK list for Q2, taking up 5 of the top 10 spots. The top 10 sales were worth about $468.3 million in total. Although this is much less than the roughly $1 billion worth of deals that took place in Brooklyn during the year’s first quarter, the difference is largely due to that quarter’s $600 million purchase of a Dumbo Heights portfolio by Kushner Companies, LIVWRK and RFR Realty. The second largest Brooklyn deal in Q2 was another Jehovah’s Witnesses building that went for $87.5 million. Rabsky Group purchased this 36,000-square-foot property in May as part of its expansion plans for a Downtown Brooklyn skyscraper. The company was initially planning to build a 36-story office tower that was roughly 618,000 square feet, but the addition of 633 Fulton Street gives them 770,000 square feet of space to work with. CIM Group purchased this 12-story Crown Heights building with 173 units from LIVWRK in June. Real Capital Analytics did not publish a sales price but believes it is likely still in the top 10 Brooklyn deals. LIVWRK has retained an interest in the property. CW Realty purchased this 42,000-square-foot industrial property in May with plans to demolish it. They will be able to redevelop up to 575,000 square feet if they include an affordable housing component. DiMaggio Realty purchased this 122-unit rental building in Kensington in June. The 149,450-square-foot, six-story property is rent-stabilized, as are multiple other properties that DiMaggio owns in Brooklyn. SL Development plans to convert this Williamsburg warehouse into a residential building with 69 condominiums. The 34,500-square-foot building comes with roughly 70,000 square feet of development rights, and SL plans to add four stories to the building and put retail in on the ground floor. This Williamsburg building is Millennium’s first purchase in New York City. The six-story building contains 41 units, and BCB had purchased it in 2014 for $12.8 million. For the auto-mechanics and other small business owners who call Ridgewood’s radioactive Superfund site home, Federal plans for cleaning up and demolishing their businesses could mean the end of an era. There are six businesses at the intersection of Cooper and Irving Avenues in Ridgewood slated for demolition under the cleanup plan overseen by the Environmental Protection Agency. The radioactive Superfund project now promises to change a long established part of the neighborhood and eventually turn it over to new development. According to Street Easy’s latest market report, Strong price appreciation in Upper Manhattan finally slowed in Q2 2017, maintaining its stronghold as the most affordable submarket in the borough with a median home resale price less than half of the borough median, at $496,881. compared to 31 percent in Q2 of last year. Brooklyn rents increased slightly, as Brooklyn’s median rent price was $2,442, 1.3 percent higher than its Q2 2016 levels and just one dollar below its all-time peak in Q3 2016, proving to landlords that the rental market is still healthy. Prices rose the most in Queens among the big 3 boroughs. The median resale price increased 8.3 percent year-over- year to $500,351. Median resale prices went up across the borough, increasing more than 5 percent in every Queens submarket except the Rockaways, which remained flat. Rent prices in Queens hit an all-time high. Median rent prices were up 1.3 percent year-over- year, reaching an all-time high of $1,989 per month. Home sales in Brooklyn and Queens outperformed Manhattan during the second quarter — with more deals and faster-growing prices, according to a new report. The number of sales in Queens jumped 17 percent during the quarter, compared to the prior year, followed by Brooklyn, with 15 percent growth. Sales in Manhattan, the most expensive borough, rose just 6 percent. Citywide, the number of residential sales increased 15 percent, according to the Wall Street Journal. In New York suburb news, New Rochelle, which is just a few miles north of New York City, enacted a plan ago 2 years a to spur $4B worth of development, streamlining the permitting process and welcoming developers. Two major proposals for towering residential projects show the plan is working. New Rochelle and RXR Realty, the master developer for New Rochelle’s downtown revitalization, revealed a $300M, two-tower proposal that, when completed, would bring up to 700 housing units and 40K SF of retail to what is currently a parking lot. The announcement came on the heels of the city awarding the rights to develop a major housing project on the current site of a fire station, less than a block from its renovated train station. In luxury market news, a court decided against a loan for the skyscraper going up at 111 West 57th St., also known as the Steinway Tower. The project is slated to be among the tallest residential skyscrapers in the world and the world’s most slender, with a height-to- width ratio of 24:1. But after rising only 20 stories, the SHoP Architects -designed Billionaires’ Row addition has stalled. Michael Stern’s JDS Development and Property Markets Group, in raising finances for the project, enlisted AIG Global Real Estate for a construction loan of $400M, and later took out a mezzanine loan with Apollo Global Management for $325M. Their attempt to get another mezzanine loan from Spruce Capital Partners for $25M was temporarily blocked by a judge after a lawsuit filed by another investor in the project. There have been lawsuits back and forth between the developers and financers, making the development of the supertall much more complicated than anticipated. This has only added to the stress of the developers that’s been brought on by the glut of luxury inventory hitting market, bringing the overall profitability and financial health into question. is undergoing rapid transformation since the new Q train stations opened this year. Swanky residential towers rising in the area are attracting more families, as well as an influx in foreign buyers — especially from China — as brokers increasingly lure them to the neighborhood to take advantage of the lower price points relative to Downtown or even other parts of the Upper East Side. Foreign investors tend to look for something “safe” or “blue chip” when buying, or a name they recognize, like the Four Seasons or the Ritz. They’ve continued to buy on Billionaire’s Row because they keep hearing about pricey new developments on that strip. But buyers are also looking for a good return on their investment and that is why their attention is now on Yorkville, where buyers can get a “two-bedroom, high floor, luxury condo” in a new development for roughly $1,500 per square foot —compared to $2,500 west of Lexington Avenue. Agents in the area have said that their traffic has been at an all-time high for in April May and June, and they haven’t seen a slowdown in foreign buyers, because the city’s real estate market continues to provide a safe haven to park their money. brokerage with IPO ambition, like COmpass, which is valued at over $1 billion and is planning an international expansion. Redfin takes a total of 4.5 percent in commission from the home seller (with 1.5 percent going to the salaried Redfin listing agent and 3 percent going to the buyer’s agent), which is less than traditional brokerages. million or higher being sold in the three months leading up to the summer season. Buyers still demanded a deal, however, with 86 percent of houses and condos bought in the quarter selling for less than what the seller sought. The average discount was 12 percent from the last asking price. This shows that sellers expectations have gotten lofty across the New York market, and even with discounts, there is still a lot of money left over for profit. Maintaining its #1 position from a year ago, TriBeCa’s median sale price continued to grow, expanding 24%compared to Q2 2016. As sales activity also increased year-over-year, the landmark New York neighborhood finished the second quarter with a $5,175,000 median sale price. The United States has been seeing a surge in foreign buying according to the National Association of Realtors(NAR). These numbers are showing explosive growth in both the transactions, and dollar volume. Over the past year, there has been a 32.4% growth from the previous 12-month period. The US has foreign buyers from all over the world, but just five countries are estimated to make up the majority of sales by dollar volume. Chinese buyers lead the way, while Canadians came in 2nd, with a massive 113% increase YOY. Residents of the United Kingdom came in 3rd, a 72% increase YOY. Mexico came in 4th, while India was in 5th. This is huge growth, and will likely contribute to upwards pressure on home prices. One of the leading stories of the past week is the growing popularity of the office space in Downtown Manhattan. Many creative companies are making the move from neighborhoods like SOHO and Chelsea to Lower Manhattan. More than 100 architecture and engineering firms plan to or already have migrated to Lower Manhattan over the last few years. Many of these firms fled climbing rents in Midtown South. Asking rents in Midtown South have been around $83 per square foot. Lower Manhattan has been catching up: Average asking rents there hit an all-time high of $62 per square foot this past May. A number of firms said that the area’s access to mass transit and new restaurants and businesses were key reasons to head Downtown. “If the Stock Exchange relocated, we could call it the Design District,” one commentator said. In financing news, RXR Realty secured $125 million in construction financing from JPMorgan Chase and People’s United Bank to fund its 363-unit rental development 810 Fulton Street in Clinton Hill. JPMorgan Chase bought $75 million worth of bonds, while People’s United chipped in $50 million. The deal cements JPMorgan’s status as one of New York’s most active construction lenders in 2017. The bank already pledged $900 million to Extell Development’s Central Park Tower project and $850 million to Harry Macklowe’s office-to-residential conversion at One Wall Street. In coworking space news, WeWork is now worth more than real estate investment trusts like Boston Propertiesand Vornado Realty Trust following the latest funding round that pegged its valuation at $20 billion, according to Forbes. Boston Properties’ market cap is $18.25 billion and Vornado’s is $17.7 billion. According to paperwork filed with the Delaware Secretary of State on June 30, WeWork issued 13.2 million new shares of preferred stock at $57.90. The fundraising follows a $300 million investment Japan-based Softbank made in March that reportedly valued the company at $17 billion. WeWork CEO Adam Neumann last month confirmed that the company plans to go public, but said he still hadn’t decided when and where to list its shares. The company restructured itself internally as rumors swirled about an IPO, the Real Deal reported. In music streaming news, industry leader Spotify's growth continues to have a major impact on the Manhattan office market. Less than a month after Bisnow reported the music streaming giant would likely keep its offices with RXR in Chelsea, Spotify exercised its option to lease an additional 100K SF in 4 World Trade Center. Its footprint will cover nearly 500K SF at Silverstein Properties' new skyscraper downtown. The tower will be 100% occupied when Spotify moves in next year. Walmart’s online shopping platform Jet.com is teaming up with real estate startup Latch to make it easier for tenants in non-doorman buildings to accept packages ordered online. The partners are teaming up to test out a program that will install Latch’s keyless entry system free of charge in lobbies at 1,000 buildings. Landlords in New York are struggling to keep up with tenants’ online shopping habits . The hardware and software allows entry into buildings via a passcode, smart phone or smart card, and allows delivery personnel to use temporary passcodes created with Jet.com to get into lobbies and drop off online purchases. The pilot program will initially focus on Brooklyn and Manhattan, and could reach 100,000 people, the Real Deal reported. The sales price of homes in Brooklyn and Queens continues to skyrocket. Record high sales prices were set in Brooklyn and Queens last quarter. Brooklyn’s median sales price reached $795,000, jumping more than 20 percent from the same time a year ago, the report found. The median price in Queens was $510,000, rising nearly 10 percent from the year before as the borough saw a “spillover” effect from Brooklyn’s hot market, pushing its prices up, too. In Brooklyn, more than 23 percent of all sales went for more than the listed price — at an average 3.8 percent more, according to a report by Douglas Elliman. In the hot areas of Brownstone Brooklyn — including Brooklyn Heights, Carroll Gardens and Park Slope — as well and North Brooklyn’s Greenpoint and Williamsburg, median sales prices jumped 9.6 percent from the same time a year ago, to $1.25 million, according to a report from Ideal Properties. The average sales price spiked more than 21 percent, to $1.687 million. Rents, however, have been going in the opposite direction. N et effective rents in the borough dropped for the second consecutive month. With concessions factored in, the median Brooklyn rent was $2,813 per month, a 2% decrease from a year ago. Brooklyn has had 22 consecutive months of increasing rental inventory, which undoubtedly contributes to a rise in concessions as landlords compete in the tenant pool to drive occupancy rates in their new buildings. It is also possible that the sort of consumer who can afford $3K rents can also afford a down payment on a condominium. If sale prices and rents continue to dovetail, construction in Brooklyn may finally cool down, though plenty of projects remain in the pipeline. Staten Island may no longer qualify as the forgotten borough, at least among real estate agents. After months of watching housing prices rise in Richmond County, some of the larger Manhattan-based real estate firms are expanding their reach to the smallest outer borough. Local agents said they welcomed the move as a sign of the market’s ascent, particularly in the North Shore neighborhoods. Earlier this month, Keller Williams opened an office in Midland Beach. And after months of studying the market, Keller Williams’ TriBeCa-based Thomas-Gabay team started working in Staten Island this September. The duo said new housing developments, a planned outlet mall and the construction of what has been billed as the tallest observation wheel in the Western Hemisphere have helped put the North Shore area on the radar of New Yorkers searching for a bargain not easily found in other boroughs. Progress on the massive ferris wheel, however, has all but collapsed. It’s just one more sign the area is booming, according to many analysts. “Downtown Brooklyn has transformed into a multi-faceted, diverse marketplace,” he said in the release, citing the recent arrival of other “top retailers” like Apple and Whole Foods. While the fitness center is confirmed, it’s not clear yet what else will be going into the remaining 8,700 square feet of retail space at the base of 33 Bond. Right now, realtors on the project are “actively speaking with a variety of similarly upmarket retailers—including artisanal food services, pantry operations, home goods and high-quality restaurants.”, as reported by NYcurbed. Coney Island-bound N trains will start skipping seven stations in Brooklyn while the MTA does renovation work starting July 31 and lasting through the end of 2018, officials said Friday. The $395 .7 million project will upgrade a total of nine stations with new platforms, lighting and stairs, according to the MTA. During the work, trains will run express from Eighth Avenue to Coney Island, potentially harming property values in a number of Brooklyn neighborhoods for the short term future. In Long Island City News, Tishman Speyer’s massive three-building rental development in Long Island City is gearing up for its launch this fall. The three buildings together will now be known as Jackson Park, and bring over 1,800 apartments to the neighborhood. They’re part of the thousands of new apartments coming to Long Island City, a neighborhood that now outpaces the rest of the United States in terms of new apartment construction. Jackson Park’s rentals will be spread out between three towers: a 53, 44, and 42-story tower located Jackson Avenue and Queens Boulevard. In addition to the residential buildings, Tishman Speyer is also constructing a five-story “amenity clubhouse,” that will include a plethora of indoor and outdoor amenities, including an outdoor pool and lounge. The clubhouse will be directly connected to all three rental buildings underground. Above ground, all four of these structures, will be connected and surrounded by a 1.6-acre private park. Residents will start moving into the first of the three rental buildings by the end of this year. Tishman’s residential towers are also located across from their massive office complex, now being called JACX, which will bring two 26-story towers to the neighborhood. Already, WeWork has signed for a 250,000-square-foot space here. A food hall, coffee shop, restaurants, and a fitness center are also all in the works at the office complex, according to nycurbed.com. One of the top stories of the past week was news from a report published by Douglas Elliman that prices for Manhattan real estate are at an all-time high. In the second quarter of this year, apartments sold for an average price of $2.19 million, an 8% increase from last year, and the median sales price also hit a record, up 7 percent to $1.19 million. The total number of sales jumped 15 percent compared with last year. Despite soft sales in the second half of 2016 and an uneven start to the year that led many to predict a slowdown at the high end, sales in Manhattan showed surprising resilience in the second quarter, this according to CNBC. While homes were sitting on the market slightly longer, inventory fell modestly. The author of the report believes that the strong sales and prices were driven by two factors: more realistic sellers and continued pent-up demand from buyers who held off purchases in 2016. Condos — especially new condos — continue to fuel the rise. The average condo sales price jumped 13 percent over the same quarter last year, to $3.12 million. The average sales price for new condos jumped 7 percent to $4.7 million. Shifting to hotel news, New York City’s average hotel room rates slid 11 percent over the past three years as the city has grappled with an influx of new supply and increasing competition from short-term rental platforms like Airbnb. And by one measure, profits were down roughly 23 percent last year. The average nightly room rate was $224 during the first quarter, down 11 percent from the average of $252 per night in the first quarter of 2014, the New York Post reported. The culprit, in part, is a flood of new rooms developers have built. The number of hotels in the city has grown 55 percent since 2008 to 634 properties and 115,000 rooms, according to the hotel-research firm STR. As the new hotels come to market, owners are more willing to push rates lower in order to keep the properties at higher occupancies. Occupancy rates are in the mid-80 percent range, which is one-third higher than the national average, which is in the mid-60 percent area, according to CBRE. Hotel revenues dipped for the fourth consecutive winter to a record low earlier this year, and experts are projecting that metrics may turn positive for the first time next year, this according to the Real Deal. In coworking space news, Regus plans to launch its co-working concept called Spaces in Manhattan at RXR Realty’s Helmsley Building, where the executive-suites company recently inked a 55,000-square-foot renewal. Spaces, Regus’ answer to the co-working giant WeWork, has 35 locations already open worldwide and another 28 scheduled to open in the near future, according to the company’s website. In New York, the sole location is at the Falchi Building in Long Island City, where Regus signed a 34,000-square-foot lease in 2015. The company’s been a longtime tenant at RXR’s Helmsley Building at 230 Park Avenue near Grand Central Terminal, and when its lease came due, Regus took the opportunity to reposition its space. As part of the 15-year deal, Regus is relocating from the building’s 10th floor to space on the third and fourth floors, and will enjoy a private entrance on Vanderbilt Avenue. Asking rent for the space was in the low-$80s per square foot, this according to the Real Deal. Shifting to teh high rise luxury market, with massive condominiums, private elevators and a 100th-floor ballroom that overlooks Central Park, Gary Barnett and Extell Development if looking to lure the world’s richest to their ambitious $4 billion Central Park Tower. Although the building at 217 West 57th Street, slated to be the tallest residential tower on Earth and most expensive in NYC, won’t be completed until 2019, the Real Deal discoveredthe building’s floorplans and the price breakdown for each unit. According to filed documents, 20 of the 179 condominiums in the building have a price tag of $60 million and above. The most expensive unit listed is a $95 million penthouse that contains four bedrooms, a 2,000-square-foot terrace and an outdoor pool. One of the top stories of the past week is the continuing monetization efforts of Zillow owned StreetEasy. Less than a week after industry leading StreetEasy announced that it would begin charging brokers $3 per day per rental listing advertised on its website, the Real Estate Board of New York, or REBNY, has announced that it’s launching its own listings syndication feed. The service will be free to REBNY member firms. REBNY is hailing the service as a means for agents to more efficiently list properties and deliver them to consumers. REBNY is seeking to launch the feed on August 1. BOND New York, Brown Harris Stevens, Citi Habitats, Compass, The Corcoran Group, CORE, Fox Residential Group, Halstead Property, Leslie J. Garfield & Co., Stribling & Associates, TOWN Residential, and Warburg Realty have all already signed on to list with the service. New York City tourism is expected to reach a record high in 2017, with close to 62 million visitors expected to roam the Big Apple this year. That’s 1 million more than last year, and the sixth consecutive record-high year for tourism in the city and the first year where visitors broached the 60 million mark. The city’s moving on expanding its tourism office—even Queens has a tourism council now—that’s pushing tourists to visit destinations like St. George on Staten Island, this according to NY Curbed. In NYC transit news, the summer of hell is almost upon us at Penn Station, as repairs will begin July 10 and last until September. There will be major service disruptions on Long Island Rail Road, New Jersey Transit, and Amtrak itself. The good news is that by the end of the six-week period of repairs, service should be improved to the point where derailments and massive delays could be a thing of the past. Amtrak’s aging infrastructure has been a problem for years, but things came to a head earlier this year, when two trains derailed near Penn Station. While no one was seriously injured in either accident, they brought to light the major flaws underground; the more than 40-year-old tracks, coupled with a huge increase in riders over the years, have put a tremendous strain on the station’s infrastructure, this according to NY Curbed. He also announced plans to commit an additional $1 billion in the transit authority's capital plan "so the MTA has the resources they need to get that done." Cuomo oversees the MTA through appointments to its board, but has blamed the current problems on "decades of under-investment, deferred maintenance and deferred modernization" of the system compounded by increasing ridership. The governor noted that subway cars are designed to be on the tracks for 40 years, but that more than 700 cars in the system are past the expiration date — with some of the oldest subway cars in use for 52 years. The MTA announced it's launching of the Genius Transit Challenge, a straphanger competition aimed at improving signals, modernizing subway cars and upgrading communication systems, this according to DNA Info. TAMI tenants, which stands for Technology, Advertising, Media, and Information, have been drawn to midtown south in the past decade, are now flocking to the Downtown office market, pushing the average asking rent to a record $62 per square foot in May, this according to the Real Deal. The submarket has seen a “steady increase” in rents, the report said. Despite that uptick, average asking rents are still well below the Manhattan average asking rent of $75 per foot and some 23.5 percent below Midtown, where asking rents are in the low $80s per square foot. Downtown has more than 1.2 million square feet of available space asking $50 per foot or less, and 4.2 million square feet available asking between $51 and $60 per foot, according to the brokerage’s report. TAMI tenants accounted for nearly 30 percent of leasing activity in the Downtown submarket this year. In Brooklyn news, sales opened last week at Greepoint’s first condo skyscraper — a 40-story waterfront tower featuring luxury amenities like a BBQ beach, hammock grove, speakeasy and basketball court — with one-bedroom apartments going for nearly $1 million. The Greenpoint, at 21 India St., is slated for completion by summer 2018 and will followed soon after by a series of towering apartment buildings, as the residential boom along the Brooklyn waterfront continues to spread north. The project includes 95 condos starting on the 28th floor, as well as 508 rental apartments on lower floors and in adjoining, lower-rise buildings — 140 of which will be subsidized for moderate- and low-income New Yorkers. The project also includes a 29,000 square foot public park, and celebrity chef Marcus Samuelsson of Harlem's Red Rooster is slated to open a massive restaurant in the building. The Greenpoint-Williamsburg waterfront was rezoned under former Mayor Michael Bloomberg in 2005, allowing for an explosion of mostly luxury housing development along the North Brooklyn waterfront. Projects like Greenpoint Landing, which is under construction a few blocks north of The Greenpoint, are expected to pull thousands more residents into Greenpoint in the coming years, this according to DNA Info. Heading south to Fort Greene, The public plaza at 300 Ashland Place opened to the public last week. Located at the corner of Flatbush and Lafayette avenues, the elevated plaza gives the public access to open space at the center of the busy cultural district. The southern section of the development is yet to open, which will include additional green space and a 50,000 square foot space that will be dedicated to cultural organizations. These will include a branch of the Brooklyn Public Library, BAM Cinemas, the Museum of the Contemporary African Diasporan Arts and 651 ARTs. Also still under construction are the retail spaces planned for the base of the tower, including a 365 Whole Foods store and Brooklyn’s second Apple store. The lower-priced Whole Foods spinoff is slated to open by the end of the year, this according to Browstoner. In Queens news, the Durst Organization is moving forward with yet another rental project - a 63-story building on Northern Boulevard in Long Island City. The developer filed plans on Friday for a nearly 1-million-square-foot mixed-use project, which will include 763 rental units across 786,355 square feet and 8,702 square feet of commercial space. According to DOB records, the project looks to be one of the largest residential projects in Queens by unit count. Durst paid $175 million for the site last year, The Real Deal reported at the time. In development news, Park Slope’s community board approved plans to replace the neighborhood Key Food on 5th avenue and Baltic st with a mixed-use development project, according to the BKLYNER. The site is part of an Urban Renewal Plan from 1981, which is set to expire in 2022, and imposes height restrictions of 40 feet. The developer, Avery Hall Investments, wants to build based on the maximum zoning height of the overall area, which is 75 feet. One of the biggest stories of this past week was Amazon agreeing to buy Whole Foods for $13.7 billion which could have a big impact on New York’s retail real estate market. Whole Foods has 11 prime locations in New York City, and is widely known as one of the city’s most sought-after retail tenants. The retailer has been struggling with declining sales in recent years and saw its stock price lose half its value since 2013, the Wall Street Journal reported. In January, Whole Foods reached a deal to bring its lower-priced concept store to Two Trees’ 300 Ashland Place in Fort Greene. The retailer is also bringing a 60,000-square-foot store to Brookfield Property Partners’ 5 Manhattan West, and is building out a space at Harry Macklowe’s 1 Wall Street. Amazon has been expanding into countless markets, including the opening brick-and-mortar stores and is expected to open a bookstore in the Time Warner center at Columbus Circle, where Whole Foods also happens to be a tenant. Amazon is said to be considering taking 350,000 square feet of office space at 5 Manhattan West. Whole Foods’ share price surged 27 percent following the news of the acquisition. Staying with Amazon, the online retail giant plans to open its first New York distribution center on the west shore of Staten Island. Amazon will open a “fulfillment center” at Matrix Development Group’s Matrix Global Logistics Park in Bloomfield on Staten Island’s west shore. Amazon’s center is expected to be the first of four warehouses on the site. The warehouse will be open by the end of summer, according to the New York Post. In coworking space news, WeWork CEO Adam Neumann said his co-working company will go public in the near future, but provided no specifics on the timeline for an IPO. Neumann said WeWork generates an annual $1B in revenue, which averages $650/month from WeWork’s 120,000 members, according to Reuters. Nearly 200 storefronts on Broadway are sitting vacant, a recent survey shows. The survey found almost 60 percent of the vacancies are below 110th Street, according to the Wall Street Journal. Broadway stretches 13 miles from the Financial District to Inwood. In New York City, buying power per square foot of retail space declined 7 percent from 2000 through the first three months of 2017, according to CoStar Group figures. In the first quarter of 2017, availability rates increased year-over-year in nine of the 11 submarkets in Manhattan, according to analysis from Cushman & Wakefield. The retail market in the city has weakened over the past 18 months, and some landlords are turning to short-term leases to fill space, according to the Real Deal. On a brighter note, in Downtown Manhattan, office leasing activity totaled 677,000 square feet in May, 56 percent above the five-year monthly average of 433,000 square feet. Leasing in Midtown totaled 1.7 million square feet, 34 percent above the five-year average. ​Read the full reports for Midtown and DowntownManhattan. Median rents in Brooklyn were down 1.9 percent in May year-over-year, with one-bedrooms falling 3.6 percent but studios growing 6.3 percent. Median rents in Manhattan were up 2.2 percent, skewed by new high-end inventory entering the market. The San Francisco rental market has been consistently down, with a 3.3% dip over the last 12 months. The city may be on the hook for nearly $100 million in unexpected additional costs related to redeveloping Hudson Yards, according to a new report. The Demolition work is well underway at the Brooklyn Heights branch of the Brooklyn Public Library and is scheduled to wrap up in the next 50 days. The developer of the project, Hudson Companies, is looking to transform the site at 280 Cadman Plaza West into a 36-story condo building with a new high-tech public library at the base. The developer recently closed on the $52 million purchase and has also managed to secure a $280 million loan that will go towards construction on the project, according to 6 sq ft.com. The condo building will feature 134 apartments. The first three floors will be occupied by the new library that will span over 26k square feet. There will also be a 9,000-square-foot STEM lab that will be operated by the city’s Department of Education and be open to students in School District 13. Two retail spaces will front on Clinton Street. One of them will be leased by the Brooklyn Roasting Company and the other will be a pop-up food space for a variety of vendors curated by Smorgasburg. The project also includes a commitment to a 114-unit affordable housing project at Fulton Street and Atlantic Avenue. Bridgewater Capital Partners entered contract to buy a 1.5-acre waterfront Greenpoint site for about $60.5 million, according to The Real Deal. The Midtown-based development firm recently agreed to acquire the site at 1 Huron Street, which offers 180,000 buildable square feet for a residential project. The site currently holds a two-story, 80,000-square-foot warehouse. The price comes out to about $320 per buildable square foot. It’s still unclear how big the apartments will be complex will be, but some fear that Rabsky could build a large portion of four-bedroom apartments which would give large Hasidic families in the area an advantage over blacks and Latinos who typically have smaller family sizes, Solano said. "How many four-bedrooms?" Solano said. "That within itself will then determine the diversity of the project." Orthodox Jewish Community Board member Simon Weiss called opponents to the Rabsky Group's plan "anti-Semitic and discriminatory." Some privately-owned and city-owned properties within the Broadway Triangle area were rezoned for residential development in 2009, but housing advocates and community groups promptly sued the city arguingthe rezoning violated fair housing laws because large apartments in low-rise buildings would unfairly cater to Orthodox Jewish Williamsburg residents. "It's a segregated rezoning,” Solano said. The city has participated in creating a segregated community through rezoning. I walk through the Broadway Triangle rezoning [every day]. Don’t tell me it's inclusive." A public hearing in the Borough President's office will be held on July 10. Kings Auto Group is well known throughout Brooklyn for offering the best customer service in the business. Located just off the belt parkway at exit 8, King’s Auto Group has stocked their inventory full of certified Nissan and Infiniti vehicles. Looking for a classy, dependable car at the best possible price and the highest level customer service experience. Check out the King's Auto Group at www.kingsautogroup.com, or you can reach them at 718-646-3331. One of the top story this week continues to be the stalemate between landlords and tenants in commercial real estate front in BK and Manhattan. Walking down 5th avenue in Manhattan and other busy spots of the city where storefronts cost a premium, you’ll notice an usually high vacancy rate. According to the Real Deal, this stalemate is characterized by tenants who won’t pay higher rents and landlords who refuse to accept lower prices. Most recently, Ralph Lauren announced it would be closing its 39,000-square-foot flagship store on Fifth Avenue. The retailer will continue to pay a $70,000 per day in rent as part of the lease, which expires in 2029, if it can’t get out of the arrangement. The hotel industry is also facing an uphill battle to absorb oversupply in the city and combat online home-sharing marketplace Airbnb. Absorption is especially low in Brooklyn, where about 7 million square feet of office space is in the pipeline despite little interest from big-name Manhattan tenants. Amid the growing oversupply, the vacancy rate in Brooklyn reached 7.1 percent in the first quarter, up from 5.7 percent in late 2015, according to CoStar Group data. The city’s multi family market is still seen as a good investment, but Dollar volume in the sector was down 60 percent from this time last year, an Ariel Property Advisors report shows. The land sale market has dipped considerably. The market was down more than 50 percent from this same time last year. Information in this paragraph is from The Real Deal. Another New York building has started a petition to remove president Trump’s name from the building name. This one is the Trump Palace at 200 East 69th Street, and the movement was started by a former Goldman Sachs partner who has been trying to sell his unit in the building since 2015. He wrote in a letter to his neighbors, “We, the owners, can change the name if 2/3 of us agree...I understand that for some this is a complicated issue. For me, it’s only business. Our homes are worth more without the Trump name.” News of this letter was first reported by Newcaster Keith Olbermann, who sold his own apartment in the building last year for a $400,000 loss,. After selling his apartment, he tweeted “I got out with 90% of my money and 100% of my soul!” This according to LLNYC. Headlining a Real Deal Issue last month, Street easy’s premier agent feature continues to provoke controversy. Instead of showing the sales broker as the agent to contact on a listing when you ask for more information, it puts you in touch with a broker who is not connected with the listing but has paid a hefty fee to be the broker contacted. The feature is raising big revenue for streeteasy and allowing newer, lesser known agents opportunities to land big clients on the buy side. But many in the industry find the new feature unethical. It renders expertise and reputation meaningless, they say, and also violates state advertising laws by allowing agents to put their name next to another agent’s listing. The Real Estate Board of New York, in a letter to the Department of State, said that the initiative created “a maelstrom of consumer confusion.” “Agents are seeing this as an opportunity,” said StreetEasy general manager Susan Daimler, who has maintained throughout the drama that Premier Agent is designed to give buyers more choice. A slim, supertall residential skyscraper, much like one you might see on 57th street, wil be coming to Nomad, on (29th) st and Fifth Avenue. Israeli developer Boris Kuzinez, who's credited with creating the Moscow version of Billionaire's Row, is developing the project, and Russian architecture firm Meganom has been tapped as the designer. The design is expected to be sleek, modern, and unlike anything the city has ever seen, according to Meganom. This according to the Gothamist. Looking at real estate numbers, Tribeca again boasted the highest asking price of anywhere in NEW York, at $4.995 million. NoHo followed with an ask of $4.95 million. Northwest Brooklyn had the highest ask in Kings County, at $1.299 million. Ditmas Park saw the biggest change in asking median price across either borough, rising 144.8 percent from last year to $1.285 million. In Midwood, the median ask rose 128 percent year-over-year to $704,500. Troubling news out of China. The Chinese government has implemented tighter capital controls limiting overseas investments in order to strengthen China’s currency and promote investment within the country. Chinese outbound investment fell by 67 percent in the first four months of 2017, according to Bloomberg — the biggest decline since 2009. The drop comes after a record year in 2016, when Chinese firms bought $246 billion worth of foreign assets. The Real Deal reported that Regulators are now discouraging splashy real estate deals abroad and investments by Chinese companies in overseas assets that aren’t strictly related to their business. This according to the Real Deal. In domestic news, BlackRock, which oversees $5.4 trillion in assets and is the world's largest asset manager, is moving its headquarters to Hudson Yards. Hudson Yards is attracting companies with cheaper rents compared with the rest of midtown Manhattan. The average rent cost in midtown is $84 a square foot. Blackrock will pay an average of $74 a foot over the full term of the 20 year lease. The transformation of west midtown has been swift, as the developing district has also attracted the relocation of Coach Inc, Wells Fargo Securities and the National Hockey League. Its new building is expected to be finished in 2022. Also in midtown west news, Whole Foods announced that it’s opening a 60,000-square-foot store in the Development project at W. 31st Street and 10th Ave, bringing even more retail options to what once a barren area of the city. In BK news, The Jehovah's Witnesses' sell-off of their properties in Brooklyn continues, this time at 74 Adams St. in DUMBO, which is currently a wide, one-story parking garage. The parcel is zoned for 200K SF of retail and residential space and is under contract to be sold to developer Jeffrey Gershon, according to the real deal. Jehovah's Witnesses' exit from Brooklyn is all but complete now. This according to Bisnow.com. One of their former buildings is poised to become Brooklyn Heights’s tallest condo building, after the conversion to condos in underway. The 29-story building at 67 Livingston Street between Court and Clinton streets will be reimagined as 23 condos, mostly consisting of two- and three-bedrooms priced in the $2 million to $3 million range. According to NY Curbed.com. Keeping with former Jehovah's Witnesses properties, Plans for the project at 85 Jay St in Dumbo have been released. What is currently oversized parking lot in the heart of Brooklyn’s most expensive neighborhood, will become 2 towers that combine condos and rental units across 1.1 million square feet. Kushner Companies, CIM Group and LIVWRK, paid a combined $345 million to buy the 135,000-square-foot site from the Jehovah’s Witnesses. Jared Kushner, an adviser and son-in-law to President Trump, does not plan to divest of his interest in the project. According to the Real Deal. Staying in Dumbo, Bjarke Ingels Group, the cutting edge architecture firm that is behind the designs of some of the most prestigious buildings in the city, will be moving its headquarters from Manhattan to Brooklyn. The architecture firm behind will relocate its 200-person NYC operation to Dumbo. BIG has signed on for 50,000 square feet at Two Trees’s 45 Main Street and will take up space formerly used by West Elm, which itself moved to Empire Stores on the Dumbo waterfront. Haysha Deitsch, the contentious landlord of the Prospect Park Residence retirement home at 1 Prospect Park West, is following through with plans to construct an 11-story condo on the site of two auto body shops on Fourth Avenue, (between President and Carroll). The developer filed demolition permits at the site this week with plans to move ahead with a 16-unit building with a private roof deck, pet spa and children's playroom designed by Karl Fischer, DNAinfo reports. Deitsch paid about $10 million for the two properties along Fourth Avenue. In Another proposal to deal with the L train shutdown of 2019, the MTA and the Department of Transportation have presented a proposal to lawmakers to create an HOV lane on the Williamsburg Bridge. According to the plan, the HOV lane would be placed on the bridge’s inner roadway and drivers carrying two or more passengers will be able to use it. The agencies also proposed a new ferry route that would run from North Williamsburg to 20th Street, running eight boats an hour. The boats would be able to carry 1,200 people which is the same as an L train.